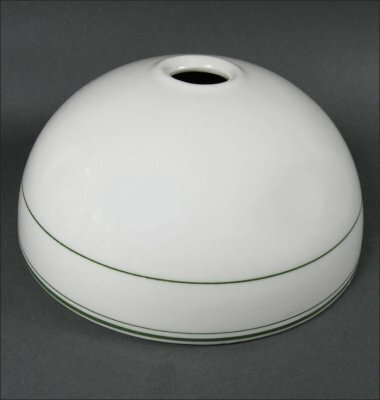 Beautiful and shiny cake cover is about 6 ¼” across and sits nice and high to protect a pastry! 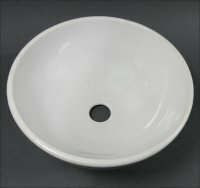 It has no manufacturer’s mark but has a nice rolled edge around the finger hole at the top, and the base where it sits on a table is unglazed, as it typical of these pieces. Condition is excellent with light scuff marks and one area on the rim where there is a glaze pop and a couple of small areas of small glaze loss, but the green lines are intact.